No matter which island you choose, Florida Keys wedding venues are among some of the most stunning places to get married in the country (and the world). For a true Florida Keys wedding, say "I do" on the beach — or...Read more aboard a sailboat! From Key Largo to Key West, these Florida Keys wedding venues are definitely wow-worthy. Located off the southern coast of Florida lies the Florida Keys. The coral cay archipelago is made up of over 1,700 islands, many of which are not populated. By selecting Florida Keys wedding venues for your Big Day, you're ensuring your union will be nothing short of extraordinary. Often referred to as America's Caribbean, the Florida Keys offer a unique blend of luxury offerings and laidback locations. The archipelago covers nearly 115 miles and is often divided into three sections for navigational purposes. There are the Upper Keys, including Key Largo, the Middle Keys, including Craig Key and Marathon, and the Lower Keys, which are best known for Key West. 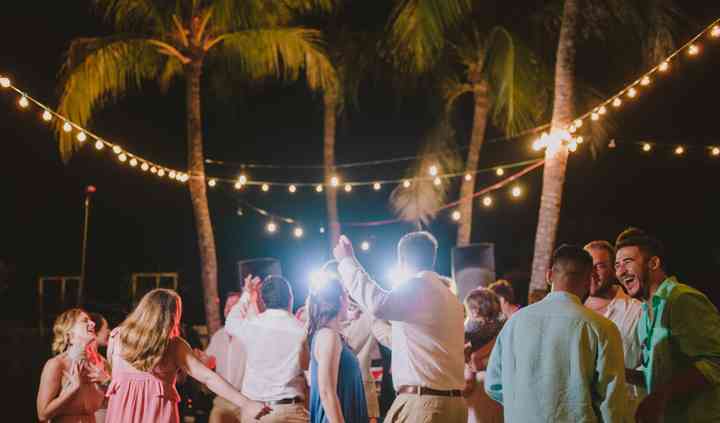 If you're traveling to the Florida Keys to get hitched, chances are, you want to incorporate the beach into your wedding day. 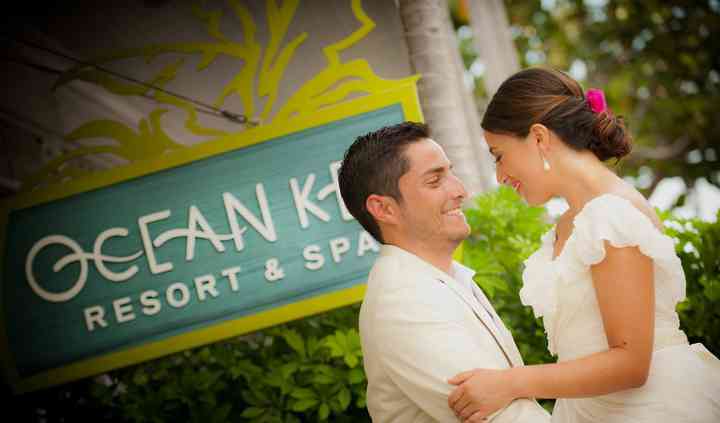 Rest assured, there are a number of wedding venues throughout the Keys that feature breathtaking beach views. Choose to get married on any of white sand beaches, tie the knot at a nearby harbor or say "I do" near a historic lighthouse. There are also hotels, restaurants and event centers throughout the Keys that offer some respite from the humidity and sun. You might not have room in your swimsuit to carry your wallet, but you will need to work out how much you're willing to pay for your venue from yourwedding budget. Getting married in the Keys will cost between $27,000 and $30,000. This range represents an average, and can be tailored up or down depending on how you'd like your special day to unfold. The Keys are separated from Florida's mainland by water, but the Keys themselves are connected by a nearly seven-mile long road. The road is not clearly marked with a name, but it's known by locals as the Overseas Highway or U.S. 1. If you or your wedding guests are traveling from out of town, you have a choice of flying into one of the two airports in the Keys, Florida Keys Marathon Airport, in Marathon, and the Key West International Airport, in Key West. Depending on where you stay in the Keys, you can spend anywhere from $200 to $400 a night. Due to their secluded nature, hotels and resorts are able to charge a bit more than they would on the mainland. Use ourhotel block reservation service to find a price and accommodation that works for you and your wedding guests. That way, no matter if you choose to stay in Key Largo,Craig Key, or Key West, you'll know everyone in your party is comfortably accommodated. Due to the region's tropical climate, the Florida Keys are warm and humid year around. The lowest temperatures occur between December and February, when weather is in the mid-seventies. June through September is the hottest time of the year, with temperatures regularly in the high eighties and nineties. Be sure to encourage your guests to bring sunglasses and a high SPF for the celebration. Getting married in the Florida Keys will feel like something out of a dream, but it's up to you to make this vision a reality. With the aid of the usefulplanning tools available here on WeddingWire, you'll be one step closer to slipping a ring on your finger and your toes in the sand.